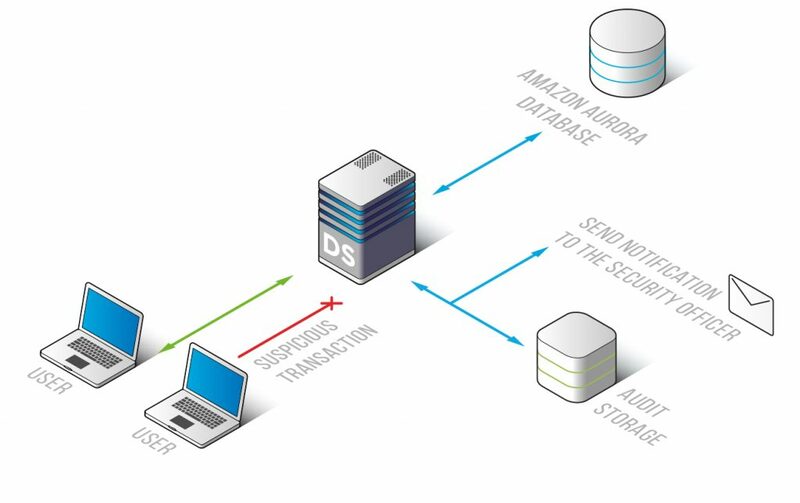 Amazon Aurora monitoring tool by DataSunrise is a reliable solution that will watch and record database queries and alert if any unusual transaction takes place. Providing detailed information on database calls and their results it helps to mitigate the risk of unauthorized actions that can lead to data exposure. Use Amazon Aurora monitoring tools for cyberattack protection, privileged user and application activity monitoring. 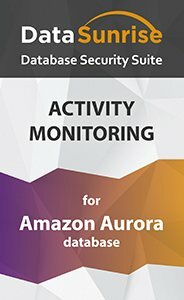 Amazon Aurora monitoring solution by DataSunrise performs 24/7 tracking of calls coming from applications and any other sources. The important element of DAM solution is that logged information about transactions and system configuration changes is stored outside so that attackers cannot tamper with it and conceal their traces. In case administrators copy or view sensitive information, provide someone privileged access or do any other unauthorized action, you will find out about it from logs. Moreover, you can set audit rule to trigger on certain query and immediately alert about it. Flexible settings allow to customize rules to notify of any unusual activity, that will save you a lot of time. Software deployment process is simple. Starting to work with DataSunrise, set learning rules that will carefully analyze user actions and identify queries typical for certain environment. The rest of queries will be assumed potentially dangerous. Amazon Aurora monitoring solution by DataSunrise detect malicious code executions, including SQL injections. Identifying source of malicious operations, you have an opportunity to pinpoint the issue and prevent such incidents in the future. Informative logs contain data on user sessions, IP addresses, hostnames, when and which queries have been made, what applications have been used. Also, the information includes changes applied by privileged users and administrators. Logs can be sent to SIEM systems, like McAfee, SPlunk, IBM QRadar, HP ArcSight. Regulations, such as HIPAA, PCI DSS, SOX and some others require implementation of database activity monitoring tools, in order to be able to investigate cybercrimes and be aware of what is happening in corporate databases. DataSunrise continuously monitors multiple databases on Amazon Aurora and reveals malicious operations. It is a necessary tool to investigate cybercrimes and comply with regulatory mandates. What is Data Audit used for? Read What is Data Audit used for?